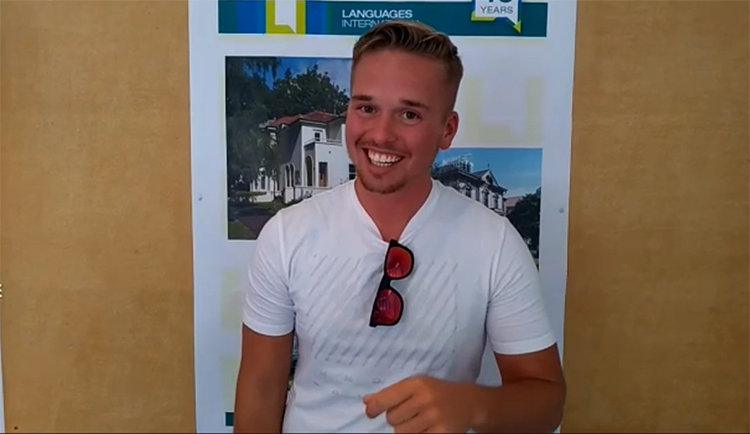 Our student Ricardo from Switzerland recorded a video message for you on his last day of school. I’m Ricardo Gerber. I’m from Switzerland. I’m here. It’s my last day. It was a very beautiful time. The teachers, the people here, everybody is so friendly. You need to come here. It’s the best place in Auckland!